Hang out with the people you want to hang out with� hang out with the greatest people of all time� in your mind. It's called The Law of Association: you become like those you spend time with. While we may not have immediate physical access to the people at the top of our field, to the people who seem to be getting the results that we want, we do have access to everyone and anyone through the power of consciousness. The power of consciousness demonstrates the oneness of the universe (the word �universe� means �one song�). There are no walls, divisions or disconnects in the world of consciousness unless you choose to place them there. You can become aware of yourself having any experience, being with any person, doing any activity that you choose. You can become aware of yourself as rich or poor, happy or sad, alone or in a great relationship, losing or winning, rejected or accepted� it's all up to you. The power of consciousness is the great leveler in the universe. No one is better than you, more advanced than you, more privileged than you in the realm of consciousness. You can think of someone else having everything you want or you can think of you having it all. You can think of someone else being with the kind of person you want to be with or you can think of yourself being with that kind of person. Those who harness the power of consciousness experience the most profound sense of liberation. Harnessing that power is one of the great secrets of the ages, but it takes discipline to make the most of it. It's not easy to gain mastery over your power of awareness, but it can be done, little by little, and as you achieve that mastery by degrees your life takes on more and more of the quality of the miraculous. So one of the powerful ways to use your power of consciousness is by hanging out � in your mind - with people who are achieving the results you want. EXERCISE: Compose a list of those who are doing that and imagine yourself sitting in a circle with them. Work your consciousness into the feeling of being on equal footing with them. See yourselves sharing together, in a harmonious energy field, meditating together, praying together. You might even imagine each of them holding an image of your success in their minds. A powerful application of this principle is to become aware of this elite group of peers conducting you through an induction ceremony, in which they confer upon you the rights and privileges of being one among them. You can also hang out with these people one-on-one. You might look through your personal library, or gaze through bookstore shelves until you find a book by or about an individual who models a level of accomplishment that you want. Holding that book in your hands, imagine the two of your hanging out, feeling totally comfortable and natural with one another. You might imagine yourself receiving mentoring from this person. Imagine an energy passing between you that links you to the destiny you want. Imagine a kind of brotherhood or sisterhood or brother-sisterhood linking the two of you at the soul level. One cool thing about consciousness is that it transcends time as well as space. This means that you can hang out with people who died a long time ago. Who are your heros? Abraham Lincoln? Marcus Aurelius? Gandhi? They are accessible to your consciousness right now? Of course the coolest one to hang out with is God, the Infinite Power, Love, Intelligence that is Omnipresent. You really don't need to hang out with anyone else to produce the very best results in your life. But why be exclusive about your relationships? Associating with ideal peers can be particularly rewarding and you can keep God in that �room� with you. Also hang out with people of influence who may not be in the field of your interest, but may have influence to help people in that field move forward in their career. Celebrities, Presidents, Kings and Queens� they are all accessible to you. Going into these meetings deliberately helps you move in the direction you want to follow. To add power to this practice, watch your thoughts all day long. Notice what you are thinking of, and who you are thinking of, whenever you are thinking. If you are thinking of people mistreating you, disappointing you, annoying you then you are hanging out with those people and they will bring you down. Keep your thoughts out of relationships that are not supportive. You are better off not thinking than thinking of people that bother you. As you practice being aware of your thinking you will find more power to redirect your thinking and even to stop your thinking at will. You bring about what you think about. You bring about who you think about. You become like those you associate with in your mind. Use this law of association to further your aims and accomplish your objectives by hanging out with the greatest people of all time. 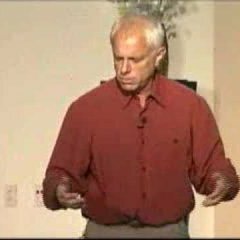 Bring enlightening wisdom into your workplace to liberate 110% performance with inspirational wisdom speaker, author and awareness-coach Bob Lancer. Motivational speaking, in depth transformational seminars and trainings for leaders, managers, sales forces and workforces as a whole as well as for school faculties (see www.schoolsupportmotivation.com).